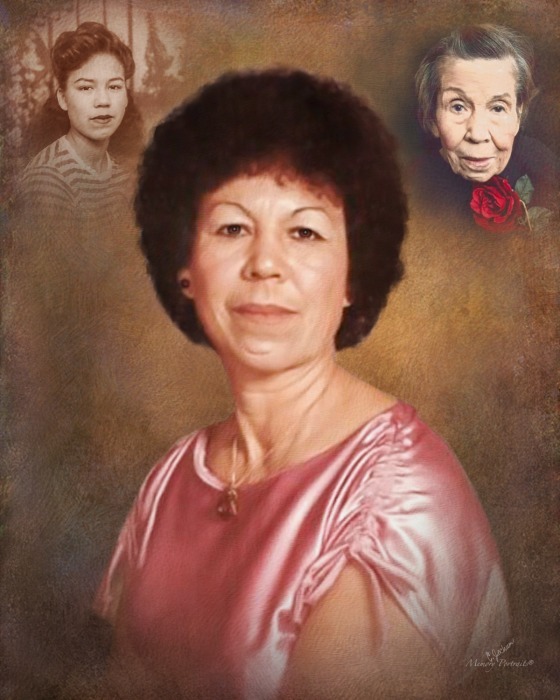 Obituary for Irene Garza Perez | Rushing-Estes-Knowles Mortuary, Inc.
Irene Garza Perez of Uvalde passed away on April 10, 2019 at the age of 84. She was born on August 13, 1934 in Sinton, Texas to Gabriel and Maria (Garcia) Garza. She is survived by her daughters, Lamar Alejandro of Uvalde, Diana Ortiz and husband, Pete of Uvalde, Irene Ybarra and husband, Frank of Minnesota; sons, Baldemar Perez and wife, Rosalinda of Uvalde, Americo Perez and Antonio Perez, Jr. both of Uvalde; sisters, Maria Elena Diaz of Lubbock, Ninfa Gutierrez of San Antonio, Ida Flores of McAllen; brother, Gilberto Garza of Minnesota; and numerous grandchildren, nieces and nephews. She was preceded in death by her parents; husband, Antonio Salinas Perez and son, Jesse Perez. Pallbearers will be Frank Ybarra, Efrain Perez, Eric Perez, Mario Antonio Ortiz, Ervey Perez, and Joe Luis Alejandro. A rosary will be held on Sunday at 7:00 p.m. at Rushing-Estes-Knowles Mortuary. A funeral mass will be held on Monday, April 15, 2019 at 10:00 a.m. at Sacred Heart Catholic Church. Interment will follow at Hillcrest Cemetery.